We design Expandable Braided Sleeve with Nylon and Polyester monofilament. The Rilsan Braided Sleeve being flexible and easy to use gives good protection to a cable bundle. Clients are eased with the availability in Polyester (PET) and Polyimide (Nylon) of the Expandable Braided Sleeve at rock bottom prices. 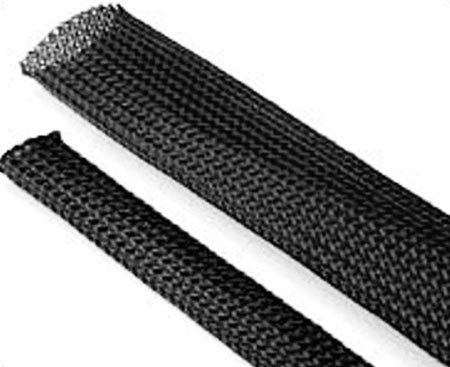 We are a reputed Expandable Braided Sleeve Manufacturer and Supplier located in India. Most commonly used over wireswire bundles and harnesses, cable assemblies, flat ribbon cable, tubing and hoses to provide a tough, durable protection.